Join the animal kingdom on the journey of a lifetime with the Google Play debut of All Creatures Big and Small, a new animated movie. 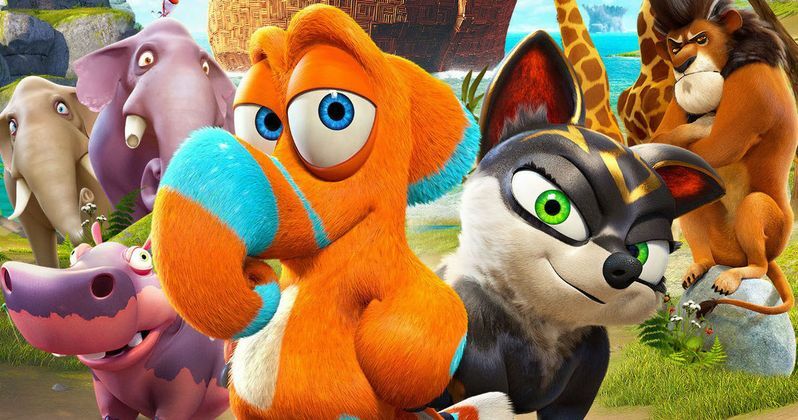 Featuring the voice talents of Martin Sheen and Amy Grant, and distributed by Entertainment One (eOne), All Creatures Big and Small is a family-friendly, feature-length adventure that reimagines the epic tale of Noah's Ark. Before you check out this animated feature, we have an exclusive clip featuring Martin Sheen as the powerful Lion, who tries to intimidate a timid creature known as a Nestrian. The release of All Creatures Big and Small coincides with the launch of Google Play's new family friendly discovery experience that is designed to help parents find apps, games, movies & TV shows and books that are appropriate for their kids. Just in time for the long holiday weekend, the animated movie All Creatures Big and Small will be available for free for a limited time on Google Play starting July 1. Check out our exclusive clip where Martin Sheen's intimidating speech doesn't work too well for him.